Louisiana traffic fines can be an potentially financially crushing depending on your own finances. Get enough of them and it’s entirely possible that your driver’s license will be revoked, which can be a death sentence on many persons’ careers and livelihoods. Thankfully, there is some good news available. The Louisiana traffic fine system is one of the more common sense and easier to navigate of all the states, so understanding and paying your Louisiana traffic fine should be simple, though by no means painless. Types of Louisiana Traffic Violations? Louisiana traffic fines are easier than most because they’re assigned-by-block to the moving and non-moving violation groups. That means that all moving violations incur the same Louisiana traffic fine, and all non-moving violations incur the same Louisiana traffic fine. In the case of moving violations, that cost is $127 and in the case of non-moving violations, in is $108. This may sound surprising, but it is true. If you drive 19 mile over the speed limit, you have to pay $127 to the courts in Louisiana traffic fines, and if you drive only 1 mile over the speed limit, you still have to pay $127 in Louisiana traffic fines. This takes all the guess work out of paying your Louisiana traffic fines, so you have no excuse for not doing it today. 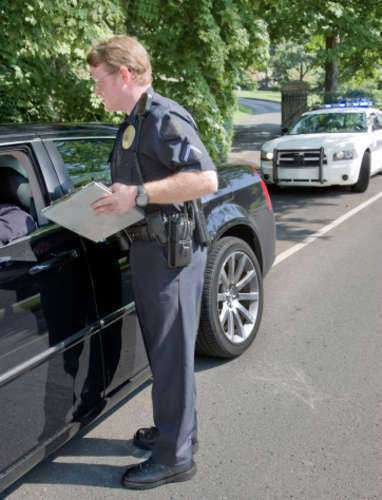 Another element making Louisiana’s traffic laws so simple is that it doesn’t participate in a point-system, adding “points” to the licenses of drivers who have violated traffic laws, so that when a certain amount is reached, the license is revoked. This makes it easier on drivers who’ve only committed a one-time mistake and who mainly have to worry about their Louisiana traffic fines. Not all traffic violations are so simple under the Louisiana traffic law system. Most moving violations require court appearances, where the appropriate Louisiana traffic fine will be assigned. Some violations which may seem to be moving violations are instead treated as criminal cases, such as Driving Under the Influence charges. Whatever your Louisiana traffic fine is, be sure to follow the directions on your ticket.